Welcome to my stop on The House with Chicken Legs tour. Written by Sophie Anderson, illustrated by Elisa Pagannelli, cover illustration by Melissa Castrillón and published by Usborne this is a re-telling of a classic Russian folk tale which will take you on an unimaginable journey through the gates to the afterlife and into the lives of the guardians of the gates the Yaga. I’ll say it outright, this is the first children’s middle fiction book in a long while, which I have been completely and utterly gripped by. It dragged me into its pages from the off and kept me there, through the ups and downs and numerous plot twists, until the heartwarming grand finale. The reason I fell so in love with this book? The lead character Marinka. Destined to become the next guardian of the gate, leading the dead through to the afterlife, she dreams of a different life than the one she is destined for. This stubborn, determined, flawed, yet sweet girl leads you on an incredible journey. 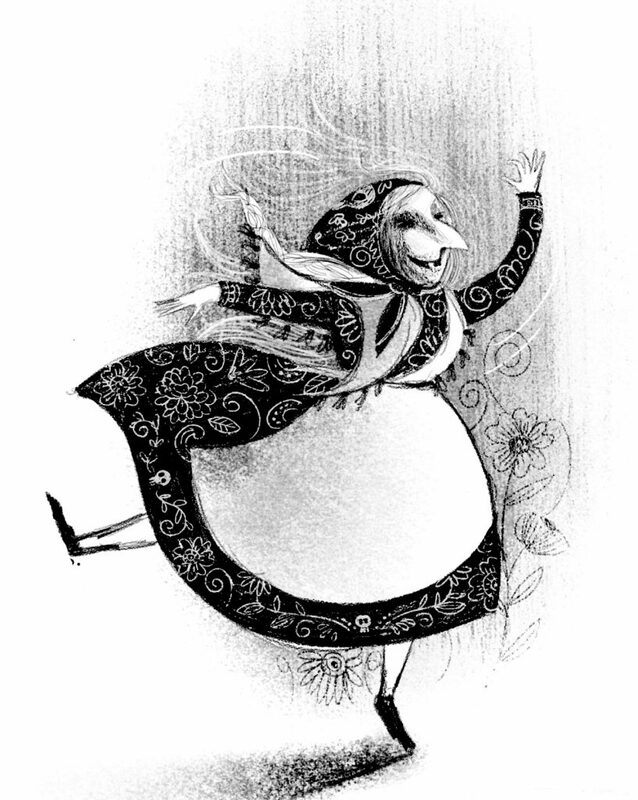 Along the way you can’t help but fall in love with her dear Grandmother, Baba Yaga and even, crazily, their house, who is as much a character in this gorgeous book as all the humans and animals. It’s quite remarkable really, that a writer can force you into having genuine feelings for a building. It just shows that anything and anyone can have character if presented in the right way. Masterful storytelling by Sophie. I don’t want to reveal much of the actual story, mainly because my lack of knowledge of the plot when I initially picked up this book made it even more of a thrilling read which will stay with me for some time. And I think everyone should enter this book through the same rather secretive doors and just experience it. It makes for a brilliant and unexpected journey with a host of endearing, brave and caring characters! 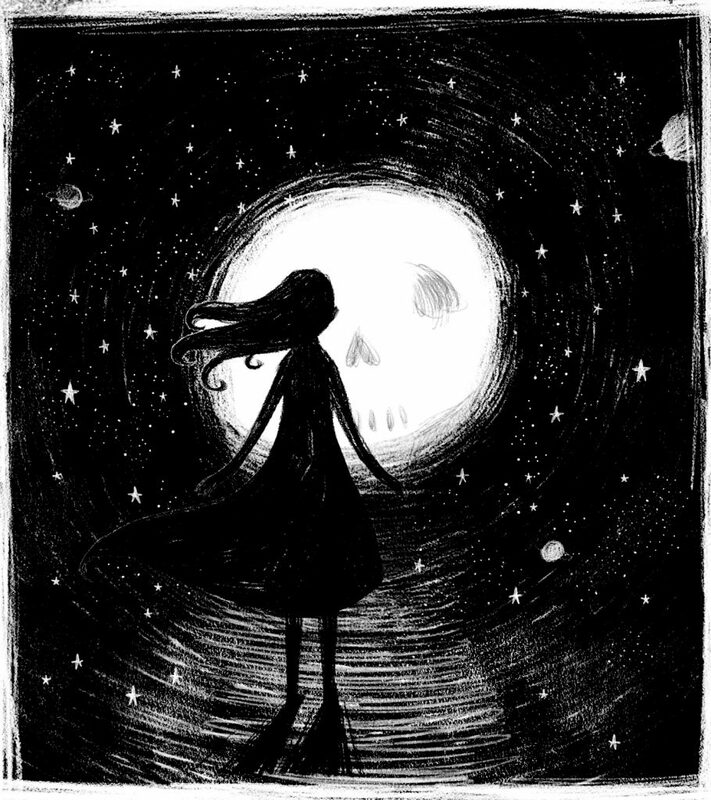 Elisa’s illustrations through The House with Chicken Legs pepper the book with skulls and little interesting details, but at times, they also plunge you into a whole other world and atmosphere through heavily inked, star filled pages. It all adds to the emotion and sense of the magical, yet incredibly real feeling world in this story. I honestly count this book as one of my favourite kid lit titles ever. 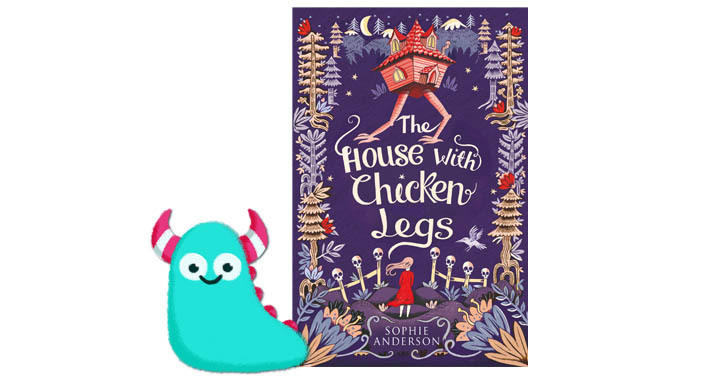 Covering the important themes of loss, loneliness, life, death, fate and destiny impeccably, The House with Chicken Legs is beautifully presented with gold foiling on the cover along with the whimsical illustration by Melissa, making it a little treasure box of a story. 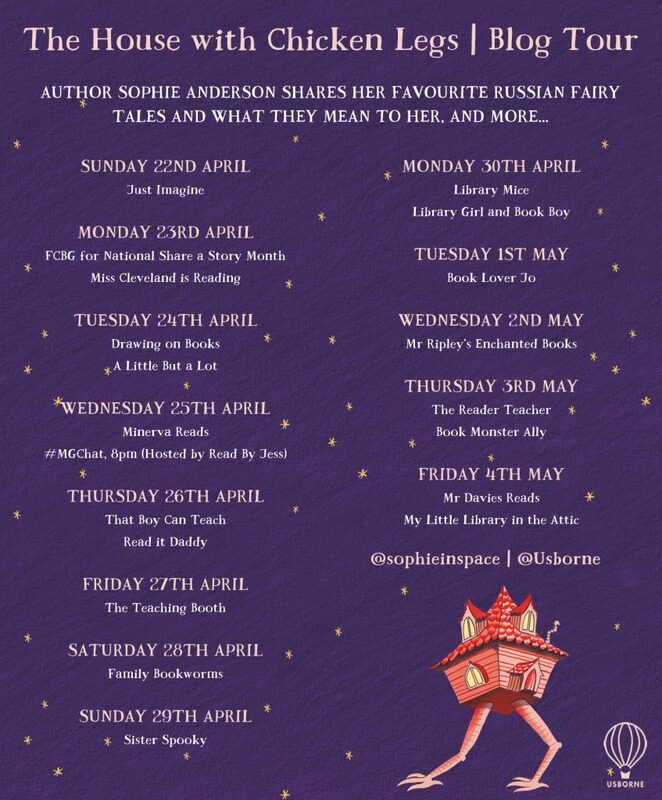 Now I welcome onto Book Monsters, Sophie with her guest post to share with us one of her favourite Russian fairy tales. In this Russian fairy tale, collected and published by Alexander Afanasyev in 1855, a brother and sister are living together after their parents have died. When the brother marries, his wife is jealous of the sister and performs increasingly horrific acts, each time blaming the sister, until finally the brother takes his sister into the woods, cuts off her arms to the elbows and leaves her there. The armless maiden walks through the woods upset for years, until she finally finds a path out, arrives in a new town, falls in love and marries. When her husband is away on a trip, she gives birth to a son with arms golden to the elbow, a bright moon on his forehead, and a radiant sun near his heart. The evil sister-in-law finds out about the child and forges a series of letters that result in the armless maiden and her new child being sent away from their home. 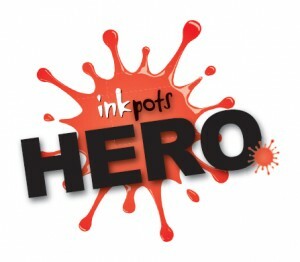 Once again, the maiden wanders alone, until she finds a well, stoops to drink, and drops her child by accident. She reaches into the water and her hands are magically restored. Variations of this fairy tale can be found all over the world; e.g. The Girl Without Handsin Germany, Doña Bernarda in Spain, Biancabella and the Snakein Italy,Rising Water, Talking Bird, and Weeping Tree in French Louisiana, The Girl without Arms in Japan. The details vary but a trusted family member; sometimes a brother, sometimes a father, cuts off a young girl’s arms and leaves her alone in the woods. She moves to a new destination, where she learns to trust and love again, but then once more she is unfairly driven from her home. Finally, alone in the woods, her arms are magically restored, and she returns to the world where the truth emerges, and she moves on with her life. When I first heard this tale, shocked by the brutality of the opening scenes, I was unsure what to make of the story. But I recognised the mutilation of the maiden could represent any number of traumatic emotional or physical experiences, and the subsequent journey she goes on is one of personal growth and healing. Like many such journeys, it is not linear, and even when things are seemingly better, there are more obstacles to overcome before the happy ending. Fairy tales such as The Armless Maiden that depict such graphic and brutal violence are not often told, but at the right time, for some individuals, they can be both comforting and restorative. They can symbolise the difficulties of passage into adulthood, or journeys of recovery from abuse. Ultimately, these stories are about transformation; the ability to not just endure but to strengthen and regenerate, not just once, but many times. And they tell readers that although they may feel alone in their journey, there are others who have walked the path before. 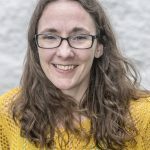 An exploration of the transformative power of fairy tales can be found in ‘The Armless Maiden and Other Tales for Childhood’s Survivors’, an anthology edited by Terri Windling, published by Tor. Wow what an incredible sounding story and brilliant to get Sophie’s take on these grim yet meaningful old folk tales. Thank you so much Sophie! 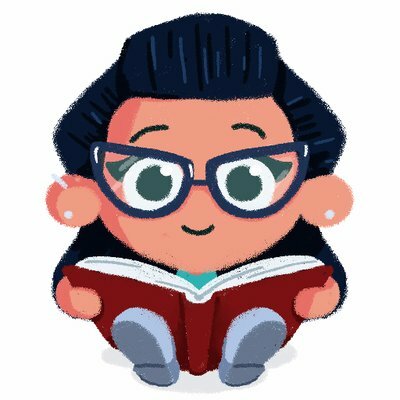 The House with Chicken Legs is released today! 3rd of May 2018 and is available from all good book shops and libraries. Get it, read it, LOVE it!! Previous Post Magazines to Munch On.